Data analytics has evolved, placing it at the heart of decision-making processes at leading enterprises. Today’s analytics can not only describe what has happened and diagnose the root cause – but businesses can also use AI to predict the future and prescribe the right course of action. GBM is the region’s only provider of complete, guided solutions that help you advance your use of artificial intelligence and analytics, exploiting recent advances in AI, high performance computing (HPC) and machine learning (ML). From integrating many sources of data into one trusted view of your business, to data science projects, to managing risk and compliance – we can help you reveal data insights that identify risks faster, apply rigorous know your customer (KYC) processes, and much more. GBM is your experienced partner in planning, deploying and maintaining the right approach to data analytics. The amount of stored information grows four times faster than the world economy. Hybrid data management solutions from GBM seamlessly integrate massive volumes of data, both structured and unstructured and from a huge range of sources, creating a comprehensive view of your business. Data can be easily analyzed, shared and managed – both on premise and in the cloud. You could build a data warehouse that integrates multiple big data sources, on premise and in the cloud, on a lightning-fast platform that streamlines queries and quickens time to insight. Or you could build an enterprise-grade data lake that makes big data accessible across your organization, supporting data science projects and faster insights via real-time analytics. 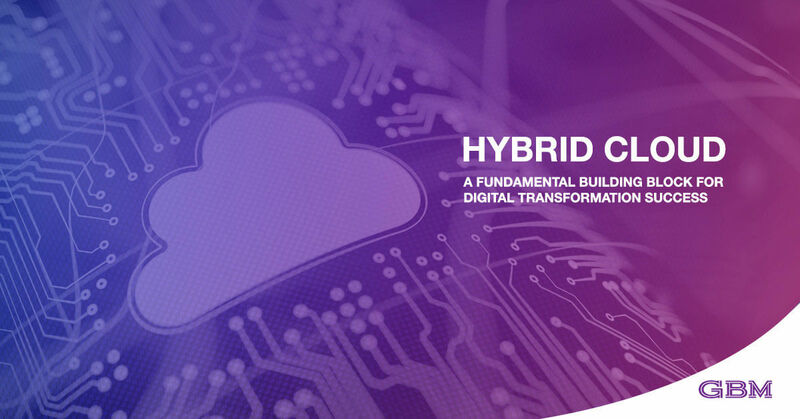 GBM is ready to partner with you to meet your greatest hybrid data challenges. Analytics insights are only as trustworthy as the data behind them. GBM can help you unify data governance and integration in one powerful platform, empowering you to know data is accurate and accessible to the right users. Your solution is built on an open data platform, with industry-leading security, to deliver trusted analytics at any scale – on-premises, or across your hybrid or private cloud. GBM solutions are also optimized for your industry – whether you are in banking and finance, energy and utilities, healthcare, insurance, telecoms or another sector. Terminologies, KPIs, data structures and workflows are all customized to your unique needs. Compliance with critical regulations, such as GDPR, is also simplified with automated governance that helps ensure subjects’ personal data is collected, processed and stored appropriately. While AI-powered data science is a complex field, organizations must be able to focus on business goals and problems – instead of grappling with technology. That’s why GBM is the right partner to help you use data science across many departments, with accessible tools and techniques that unlock the full spectrum of analytics capabilities. Whether you want to understand customer needs more deeply, reveal insights that drive new operational efficiencies, or achieve any other data science goal, GBM has the know-how and solutions to speed your journey. Today’s risk and regulatory environment has become incredibly complex. Manually managing risk, compliance and performance is too great a burden, especially if your business prefers to focus on innovation and efficiency. GBM can partner with you to transform risk and compliance, leveraging our regulatory technology (RegTech) expertise and advanced AI and analytics – while reducing cost and effort. We can help you build a platform that standardizes compliance to shrink workloads, screens customers to prevent external fraud, monitors activity to detect internal threats. From planning and deployment to continuous support, GBM is here to meet your challenges, from rising fraud to cost reduction. For organizations aiming to get started with AI and cognitive computing – or advance and scale existing AI projects – GBM offers complete cognitive solutions that integrate industry-leading technologies. We can help you design, deploy and run a cognitive platform that makes machine learning (ML) and deep learning (DL) accessible to both technical and non-technical staff, so you can reach the next level of business insight. With GBM as your guide, your business can tap into the unlimited potential of cognitive computing.